Is there a security update for the Intel ME firmware for my Razer Blade Stealth 13” (2017) - Intel 7500U? 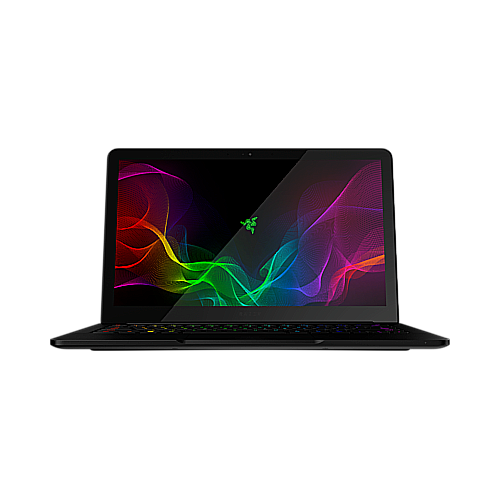 What are the design differences between the Black and Gunmetal versions of the Razer Blade Stealth 13” (2017) models? The Razer Blade Stealth 13” (2017) model is now available in two(2) color variations: Gunmetal with the tone-on-tone Razer logo and white backlit keyboard or in Black with an adjustable green backlit Razer logo and the Razer Chroma keyboard. Where can I purchase the Gunmetal version of the 13” Razer Blade Stealth? Currently, the Gunmetal color variation is available in the USA and Canada. Why does the brightness of my 13.3” Razer Blade Stealth (2017) display seem to change slightly when I load new content or images? The new 13” Razer Blade Stealth display features a content-aware brightness controller (CABC). This feature dynamically adjusts the display settings to provide longer battery life. This technology allowed Razer to include a larger 13” panel with a higher resolution while still achieving similar battery life to the previous 12” Blade Stealth QHD models. The brightness changes are subtle but Razer does offer a firmware update tool that will turn off this feature. Please note that battery life will be reduced if this feature is disabled. If you desire to disable CABC click here for the updater. Can I turn CABC on / off on my Razer Blade 13 Stealth (2017) Intel 7500? By default, CABC (Content Adaptive Backlight Control) is turned on in your Razer Blade 13 Stealth (2017) Intel 7500. If you wish to turn it off, please follow the instructions found here. Please visit http://support.razerzone.com/, email systems@razersupport.com or call System support for your region with one of the numbers to the left.